As a member of the ARUP User Group, you have direct influence on the way that we improve our products to better suit your needs. Here are some changes that you can expect to see in the coming months that are a result of your suggestions and feedback. We’ve made finding the correct test faster in the ARUP Laboratory Test Directory! 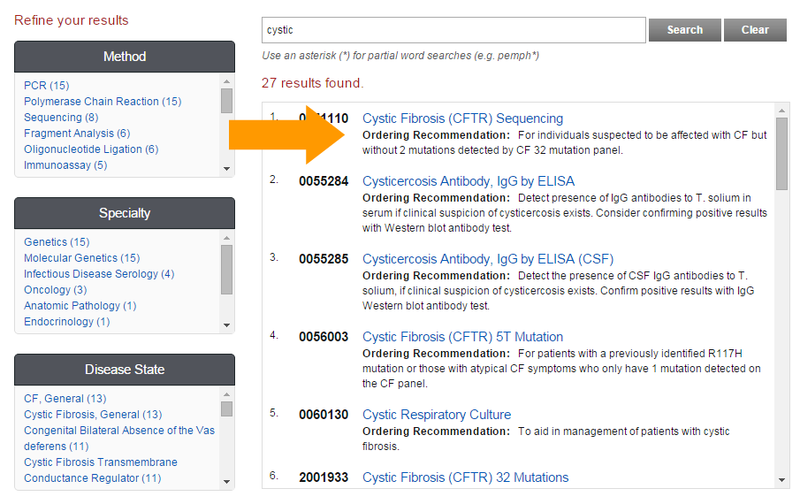 Visible Ordering and Recommendations information in the search result window.